Posterity has often seen Nietzsche as a principal source of modern elitism. In fact he was a tireless proponent of individual freedom--from religion, the state, society and mass morality. Believing in greatness, he knew its cost in suffering, yet he set out in quest of it with tremendous energy, subjecting Philistine opponents along the way to his devastating irony and wit. 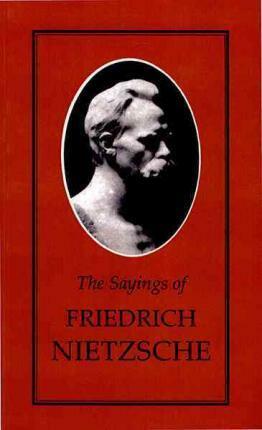 This collection of his sayings provides a unique summation of his influential thought.